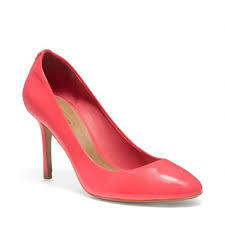 Forget the weather, nothing is a better indication that summer is here than the summer shoe sale season! If you haven't had a look yet, I highly recommend doing so very soon, while the selections are still good. Coach just announced their 50% off sale today. 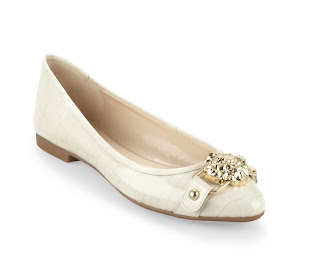 The Glinda Espadrille was on my Coach summer wish list; I had't decided yet between the navy or the ivory....but at only $99.00, I may be inclined to get both! 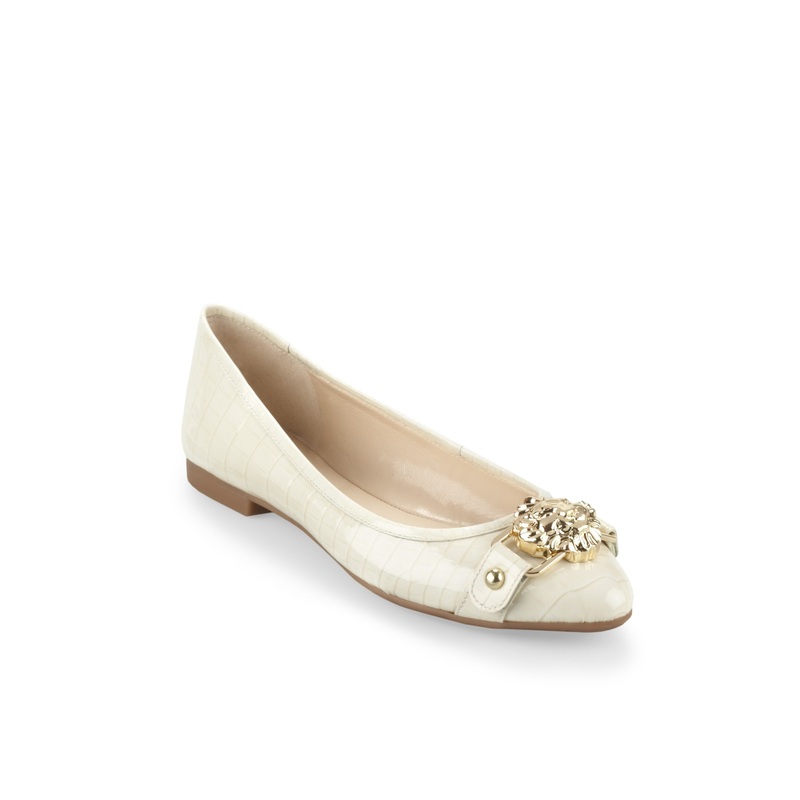 Glinda Espadrille by Coach. Currently on sale for $99 (normally $198). The flat is a shoe-closet necessity - a must have for jeans, that cute dress or a casual mini and sweater combo. Finding a cute flat is not hard, but, finding a cute flat that is stylish as well as comfortable, versatile and affordable enough to buy in several colours...? That's a different story. 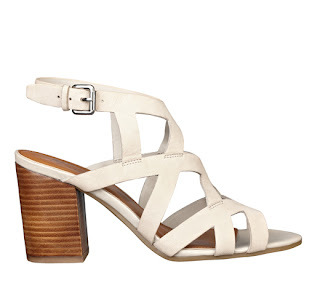 The Cynthia flat by Diesel was a great find; originally priced around $125 - $135, it's now on sale for well under $100. Fabric covered upper with leather capped toe, leather sole. Fits true to size but is a bit narrow in the toes. The bright, colourful look from last year continues but this year it's not just the fun, strappy sandals getting all the colour either. White is back.... and it's everywhere! I'm personally not sure how I feel about all the white yet but that could just be because I'm too pale to pull it off very well. Either way, this trend is making a big comeback from the 80s and 90s. So whether you're looking for a store brand, a designer label, a high strappy heel, standard pump or cute flat, you'll find them all in white! 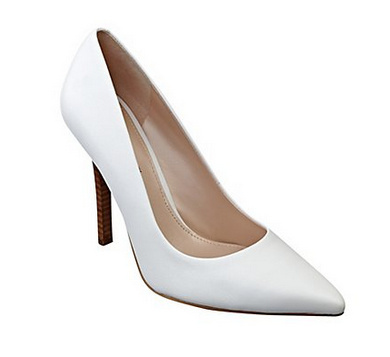 Be adventurous, buy some white shoes... there are plenty to choose from! 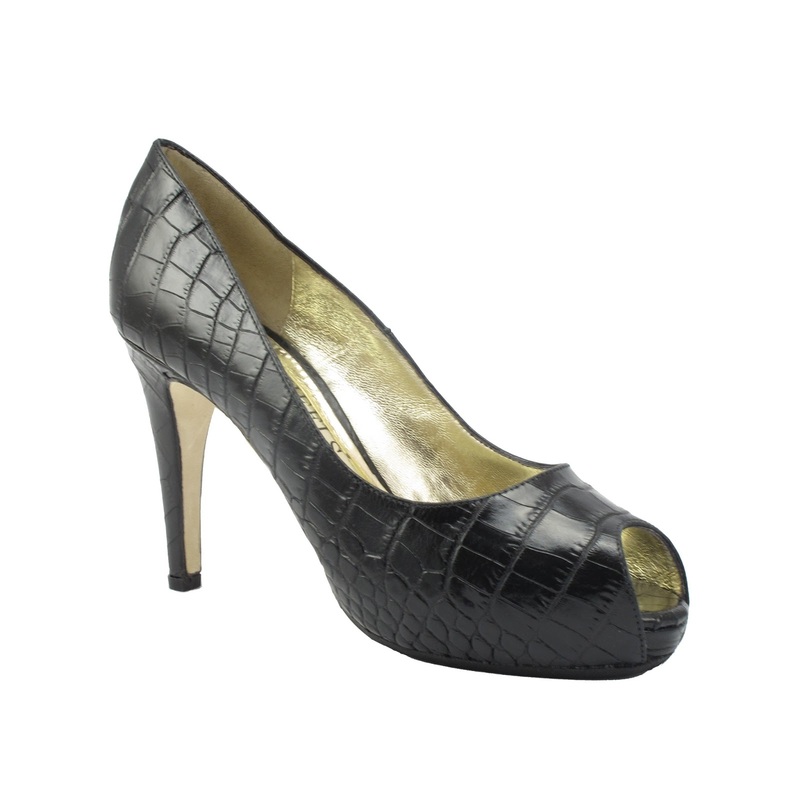 This is Bonnie Onyx Croco from the All Day Heels collection. The insole has a "NASA created PORON cushioning"... honestly, I don't know what that actually means except that it does make the insole very comfortable. The heel is manageable 3.5 inches, with a 1 inch platform. The embossed calf leather covered heel and hidden platform make the shoe stand out a little while still maintaining the polished look of a classic pump. The toe box is a tight fit, so try a size up and definitely make sure you walk around in the store first, to get a good feel. 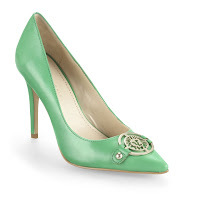 Normally between $385-$445, look around for the sales to find them for as low as $150. How to look pretty and stylish while trudging through below zero weather? Difficult, but not impossible. Anchorage boot by Pajar. This is a Canadian company so it's not surprising that the boot is guaranteed to keep your feet warm and dry down to -40 degrees. They have a solid, but not chunky, heel with good grip for walking on ice and snow covered sidewalks; the insole is removable for easy cleaning and the whole interior is lined making it warm enough to only need a thin pair of socks. Fashion wise, I love that it has a nice slender look; I wear them over skinny jeans, with a skirt over tights and always get plenty of compliments - and that's always a nice bonus! Honestly, nothing. I love these boots. I personally think their regular prices are very reasonable for the product but with winter coming to an end, have a look around and you'll probably get lucky with a sale! They have an extensive selection of styles, both for women and men so happy shopping! In this post, I wrote about a very beloved pair of shoes. These were my first love in shoes so naturally over the years I’ve done all I could to take care of them. But now it had finally come to the time where they needed something a bit more drastic. What I wanted was for the very pointed part of the toe to be trimmed down to a regular almond toe. So, off I went to my trusted shoe guy. Before he could even give me an answer as to whether or not he would be able to do what I wanted, he had to painstakingly peel back the top layer of the leather from the underlying structural material. This had to be done in order for him to see what condition the bottom part of the shoe would be in and whether there would be enough leather left for him to work with. After several days of him working on it in his spare time - I soon learned that this was bit of a labour of love for him - heating the shoe to soften the leather and glue, peeling it back literally millimetre by millimetre, he finally told me that yes, he would try. But, he could not guarantee the end result. Did I still want to continue? I did... I had no doubt that he wouldn’t even start if he couldn’t do it. At this point he had to create a new model for what the shoe would look like; after several foot measurements, he was ready to create a mold and... to start cutting! After one last “Are you sure?” the tip of the shoe came off. And the trimming, and the measuring began. Finally, after over a month of working on them, he called me... for help. At the bottom of the shoe, where the leather meets the sole, the original leather wasn’t strong enough so he had to augment it with new leather but, the new leather didn’t quite match the old. And after trying out several combinations of their leather dye, he had been unable to match the finish on the shoe. Considering the vast array of nail polish colours, they had the brilliant idea to use nail polish to touch up a few parts where the finish was uneven! So, off I went to several stores until I finally found a colour that he liked. The polish got mixed in with his secret shoe making ingredients, they were put in an oven, they were buffed and sprayed and steamed and I don’t know what all but finally, a few days later, he called me again - this time to come have a look. And just look at the magic he performed!